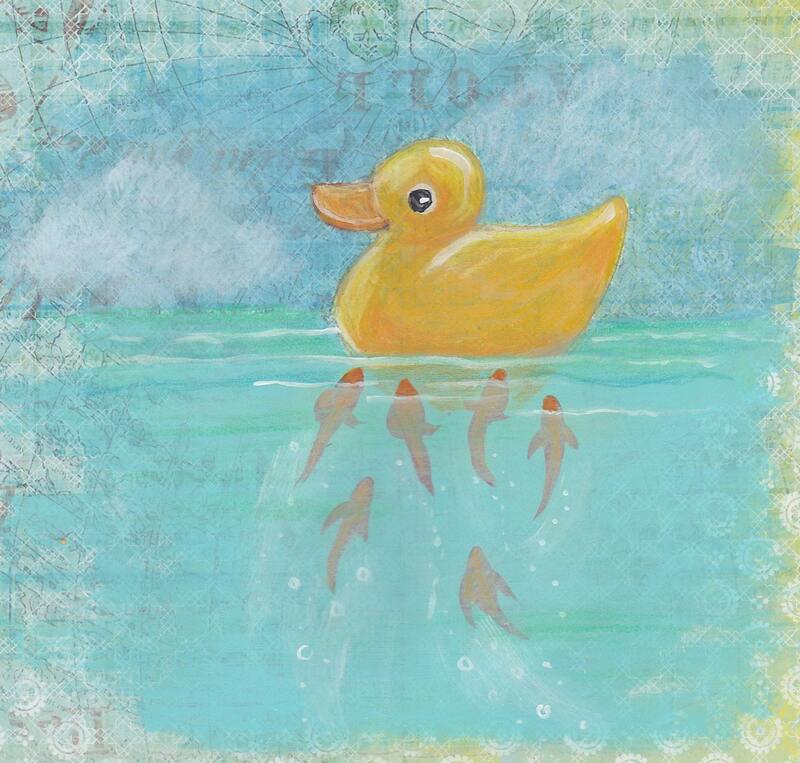 This is a mixed media painting I did on patterned scrapbbok paper for an Illustration Friday entry for the word "toy." You can't help but smile at a rubber ducky! How did this one end up here? That's what these curious fish would like to know! The card is blank so you can write your own thoughts. Lovely illustration, promptly received - thank you! Beautiful card. And quick shipping. Thank you.